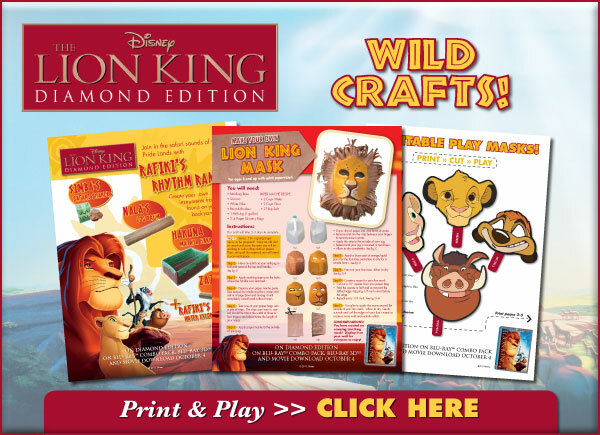 I love The Lion King and have loved it for years so I was excited to get The Lion King Diamond Edition in the mail to review. 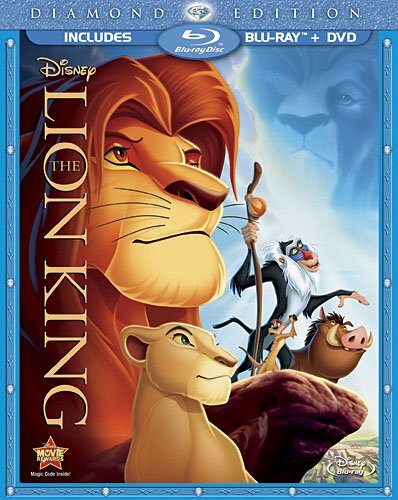 An unforgettable story, breathtaking animation, beloved characters and award-winning music sets thestage for “The Lion King”, a Disney classic that follows the adventures of Simba, the feisty lion cub who “just can’t wait to be king.” But his envious Uncle Scar has plans for his own ascent to the throne, and he forces Simba’s exile from the kingdom. Alone and adrift, Simba soon joins the escapades of a hilarious meerkat named Timon and his warmhearted warthog pal, Pumbaa. Adopting their carefree lifestyle of “Hakuna Matata,” Simba ignores his real responsibilities until he realizes his destiny and returns to the Pride Lands to claim his place in the “Circle of Life." I am sure that most of you have seen The Lion King before but if you haven't you REALLY need to. It is just a fabulous movie. We love the Blu-ray version- the images are all so much cleaner and crisper and it just shows off the gorgeous animation so well! Aiden (age 9)- I liked the part where they fight the Scar guy and I think the pig is funny. Owen (age 8)- I liked the part where it says "who's the monkey" because the monkey is funny. 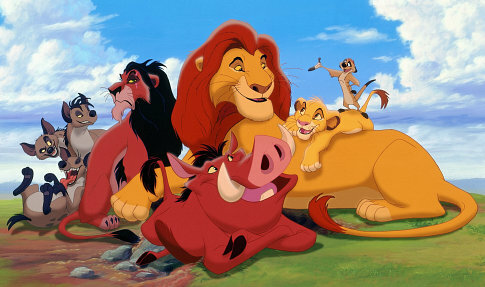 My favourite character is Simba because he is awesome. Olivia (age 4)- I like it because I like the part where Simba is playing with Nala the girl lion because they love each other. The Lion King truly is a classic. My kids love it. My husband loves it. I love it. What more is there to say?